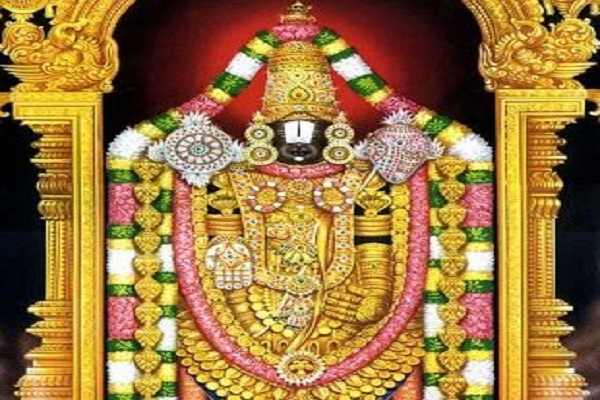 Tirupati Balaji temple is one of the most revered temple in the world. It is the richest temple in the world in terms of donations received and networth. 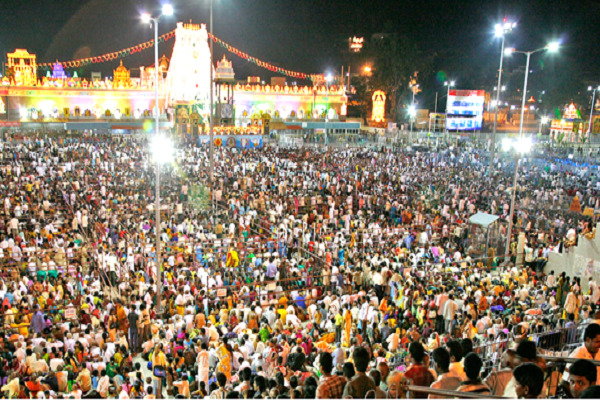 The temple is visited by about 50,000 to 100,000 pilgrims daily, while on special occasions and festivals, like the annual Brahmotsavam, the number of pilgrims shoots up to 500,000, making it the most-visited holy place in the world. Dedicated to lord Sri Venkateswara Swamy, the temple is located in the hill town of Tirumala in Chittoor district of Andhra Pradesh, India. The Temple is dedicated to Lord Venkateswara, an incarnation of Vishnu, who is believed to have appeared here to save mankind from trials and troubles of Kali Yuga. Hence the place has also got the name Kaliyuga Vaikuntham and Lord here is referred to as Kaliyuga Prathyaksha Daivam. The temple is also known by other names like Tirumala Temple, Tirupati Temple, Tirupati Balaji Temple. he temple lies on the seventh peak -Venkatadri, on the southern banks of Sri Swami Pushkarini, a holy water tank. Hence the temple is also referred to as "Temple of Seven Hills". The Temple is constructed in Dravidian architecture and is believed to be constructed over a period of time starting from 300 AD. It is approx. 450 kms from Vijaywada, 575 kms from Hyderabad 150km from Chennai and, 300kms from Banglore. This Temple bears on its walls several inscriptions which are of historical, cultural and linguistic importance. The number of inscriptions on the Hill Temple and in the temples of Lower Tirupati and Tiruchanur exceed one thousand. At present, three pujas are performed in Tirumala Temple daily which includes UshaKala puja, Madhyahna puja, Nisi puja.aikuntam Queue complexes will have rooms where Devotees can sit and wait until their turn for Darshan. According to tradition, it is important for a devotee to have darshan of Bhuvaraha swamy temple lying on the northern banks of Swami Pushkarini before having Darshan of Lord Venkateswara in main temple.Tirumala Sri Venkateswara Temple is a paradise of Festivals where over 433 festivals are being observed in 365 days of a year suiting the title "Nitya Kalyanam Paccha Toranam" where every day is a festival.The world famous "Tirupati Laddu" is given at Tirumala Temple as prasadam. Tirupati Airport is located 14 km from the town and has regular flights from Delhi and Hyderabad. If you are flying from outside the country then your best bet would be to land at the Chennai International Airport which is the nearest international airport to Tirupati, located approximately 200 km from the city. Tirupati is comparatively a small city, just 16 km, and some of its areas can be easily explored on foot. In fact the religious temples and some other holy places can only be explored on foot. कई लोग चाहे कितनी ही कोशिश कर लें, लेकिन वे अपने धन को संभाल कर नहीं रख पाते. न चाहते हुए भी उन्हें लगातार पैसों का नुकसान होता ही रहता है. ऐसे में इसका कारण समझ पाना बहुत मुश्किल हो जाता है. कई बार लगातार पैसों के नुकसान का कारण वास्तु संबंधी दोष भी हो सकते हैं. वास्तु के इन 5 कारणों को ध्यान में रख कर पैसों के नुकसान से बचा जा सकता है. यदि चाहते है धन में वृद्धि तो अपनाये इन वास्तु उपाय को ! Thanks for sharing the excellent article. 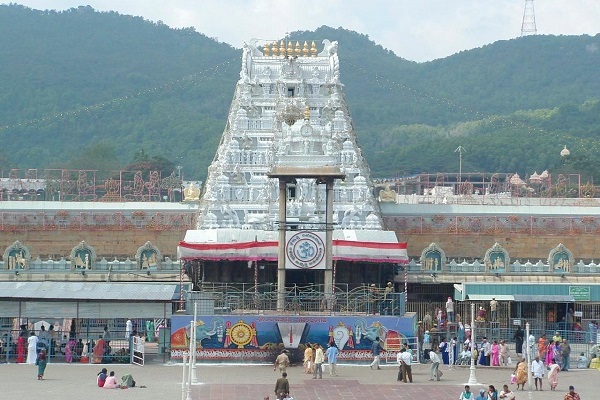 Which is the best way to reach Tirumala from Tirupati by foot?